The rent at Prominence Apartments One BR Luxury Apartment Homes ranges from $883 for a one bedroom to a $1,344 two bedroom. Apartments in this building are about 11% less expensive than the Oak Ridge average. This is a pet-friendly apartment. This apartment is in Oak Ridge. Prominence Apartments One BR Luxury Apartment Homes has a Walk Score of 45 out of 100. This location is a Car-Dependent neighborhood so most errands require a car. The Club at Millenia is an award winning community, where we are centrally located to all the attractions, shopping, dining and night life of Orlando! We offer luxury living with upscale amenities and service excellence for our residents. You will always feel at home with our monthly community events and our warm and friendly team. More about 5826 PGA Blvd. Explore how far you can travel by car, bus, bike and foot from Prominence Apartments One BR Luxury Apartment Homes. Prominence Apartments One BR Luxury Apartment Homes has some transit which means a few nearby public transportation options. Car sharing is available from RelayRides. 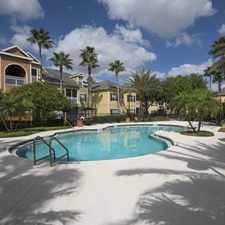 Prominence Apartments One BR Luxury Apartment Homes is in the city of Oak Ridge, FL. Oak Ridge has an average Walk Score of 40 and has 22,685 residents.